The city of Nukus, Karakalpakstan, will host a centennial anniversary of late Igor Savitsky, the founder of the Karakalpak Museum of Arts on September 4. The event, however, could be marred with the presence of only half of the invitees: nearly all of the foreign diplomats accredited in Uzbekistan turned down the invitation to participate in the celebrations. While diplomats cite schedules and prior commitments, the well-known museum’s employees seem to know the real reason: the recent unexpected dismissal of Curator Marinika Babanazarova. According to some of the staff members, over a hundred guests—local and foreign experts of arts, journalists and diplomats—were invited to the event. However, the museum staff had to cancel hotel reservations for the good half of the awaited guests. Even Russian Ambassador Vladimir Tyurdenev is among those who are no longer planning to visit Nukus. This is an especially curious turn of events because Igor Savitsky was a renowned collector of the Russian avant-garde has much more relation to Russia and its embassy than everyone else. Further, Sotrudnichestvo [Cooperation] Organisation of Russia (along with Nestle Company) is one of the permanent sponsors of the museum. Meanwhile, the preparations for the ceremony are proceeding at full speed in town. 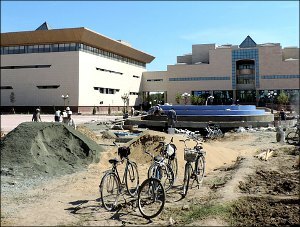 However, there is a caveat: the entire city of Nukus is preparing for the anniversary events, not just the museum itself. 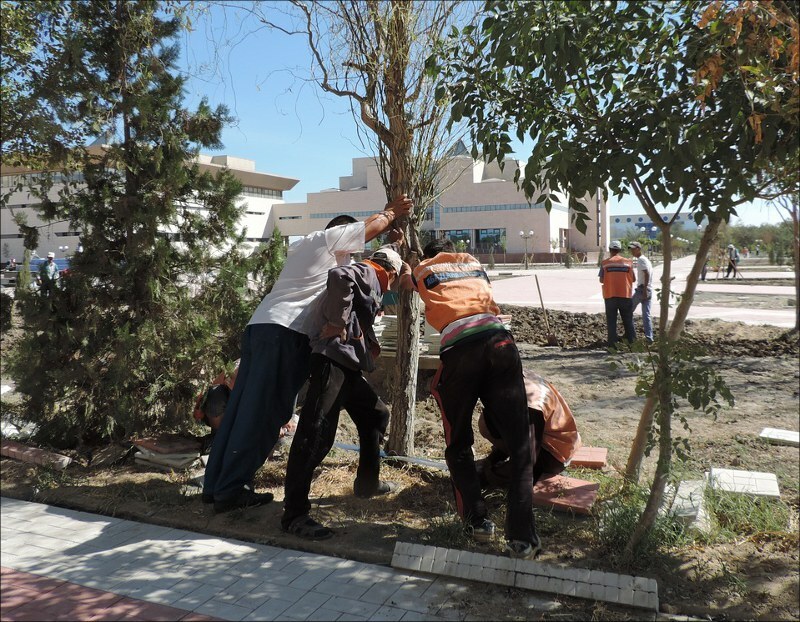 Almost all of the museum staff members were barred from preparation activities following the curator’s removal from office, and Nukus City Hall and the authorities of Karakalpakstan Autonomous Republic are now organising the festivities. The political appointees have completely changed the original programme, which was approved of by Minister of Culture and Sports of Karakalpakstan earlier. All other events—the opening ceremony, speeches by guests and authorities bout the museum and the late Savitsky as well as a concert—will take place at the Berdakh State Musical Theatre of Karakalpakstan. The museum staff members are not sure if the invitations they are holding would be valid since the new organisers—the local authorities—have printed new invitations. Meanwhile, one of the two new buildings—exhibits hall—was supposed to be ready by Independence Day on September 1. However, it is not ready since it lacks necessary equipment: metal detectors and lighting in exhibit halls. Administration sections on the first floor are not ready either. Further, the local authorities were supposed to complete the renovation of a space adjacent to the museum, to expand and repair a road leading to it by September 1. But they failed to meet the deadline even though they worked in two shifts. Obviously, expecting them to complete their work before the celebratory events tomorrow would be naïve, to say the least. Meanwhile, the main news bulletin in the country reported on an inspection at the Savitsky Museum on September 2. According to Gazeta.Uz, TV viewers were told that the National Security Service launched a criminal investigation into the absence of five paintings at the museum on 28 Sep 2015. The loss was established during an analysis of 800 paintings and graphic works among 85,000 exhibits at the museum. Experts were involved in the process and ultraviolet lamps were used during the examination. The examination established that five paintings are missing and replaced by completely different paintings. “In accordance with the findings of a commission for estimating exhibits of the Arts Expertise Administration [under the Ministry of Cultural and Sports Affairs], the total cost of the [missing] paintings is 581.625m soums [just over USD220,000 at the official exchange rate, while the “black market” would yield USD126,000),” the TV report maintains. The news bulletin told the Uzbek viewers also about earlier facts of forgery in other museums in the country, mentioning 278 paintings in the State Arts Museum and a big number of works by artist Viktor Ufimtsev in the Angren Gallery [near Tashkent]. Artist Ufimtsev’s works were found in private collections in Russia, and they were demonstrated in exhibitions and auctioned. 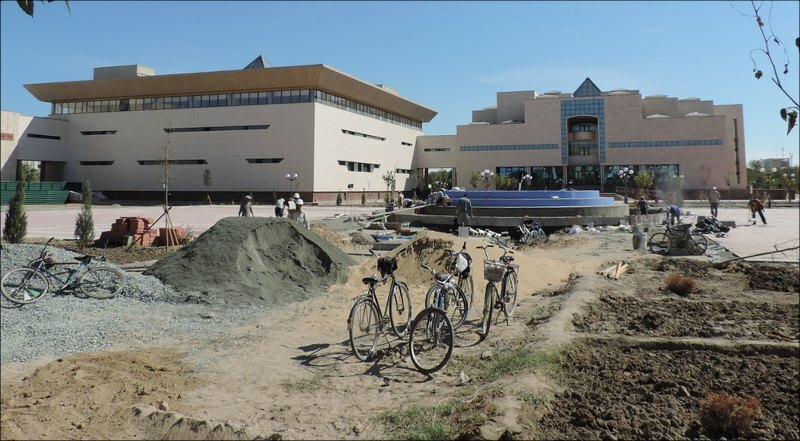 There are now attempts underway to return said works to Uzbekistan. The TV report also levelled direct accusations against renowned collection owners in Moscow who are allegedly involved in fraud with paintings from the museums and galleries in Tashkent and Angren.